The Smhaen fly tying bobbins are the ones that everybody is talking about. Kind of sweeping the industry here. Scroll down for video. The Smhaen fly tying bobbins are the ones that everybody is talking about. Kind of sweeping the industry here. Very well made and extremely light, these just feel good in the hand. The ergonomic "finger pads" make this also very comfortable to tie with. The ceramic tube also runs the entire length of the thread tube to ensure smooth movement and less chance of thread breakage. The most outstanding feature on these bobbins though is the adjustable tension bar. This allows you to easily adjust tension on the fly, or for different sizes of thread spools. It really works well and is a great feature in a fly tying bobbin. 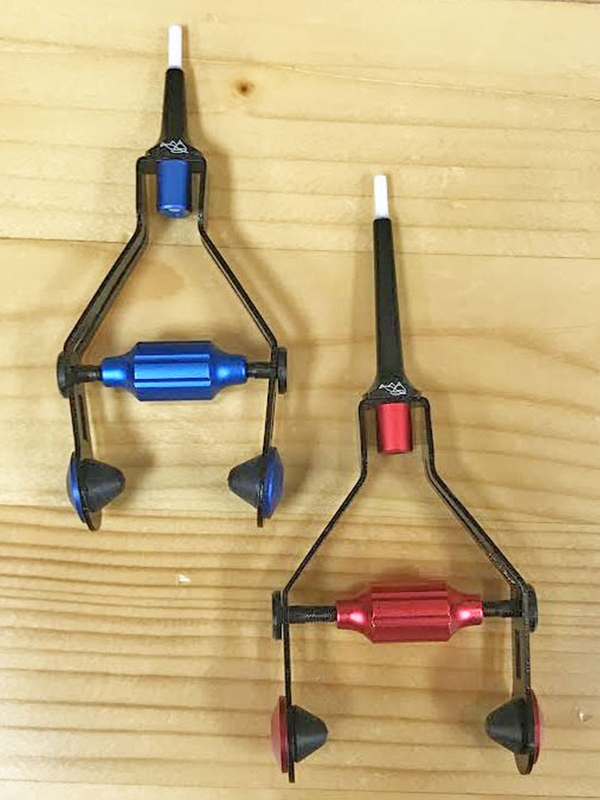 The Smhaen bobbins come in the 4" Regular (red) or the 3.5" Midge (blue) sizes. Use smaller threads and thread spools go with the midge, for standard and larger go with the regular. Pretty simple. * Please note that the manufacturer recommends that you do not use these with Kevlar or Wire. The ceramic can be damaged by these. The Smhaen fly tying bobbins are an investment in your fly tying that you won't regret. Also makes a great gift for the tyer who "has everything".